As far as Supreme Court advocacy goes, you can safely assume that the nineteenth century pretty much belonged to men. 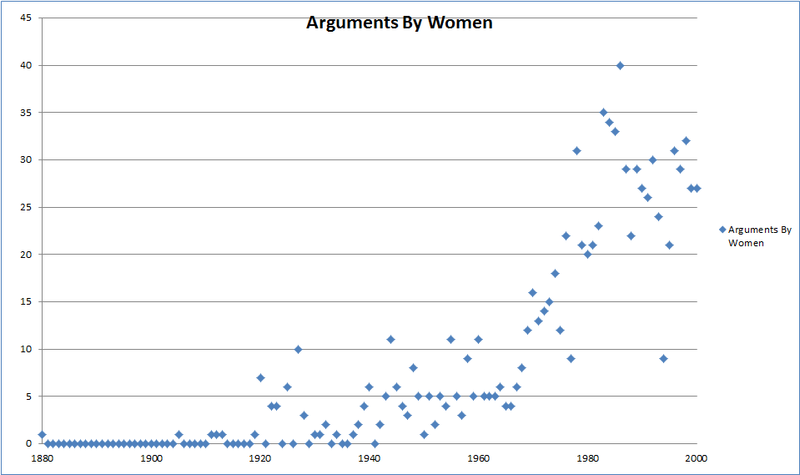 But when did women first argue to the Court? Who appeared more than once? How have the numbers picked up? 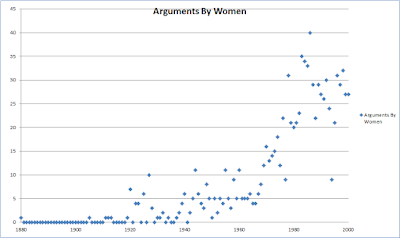 First 101 Women to Argue at the United States Supreme Court. Here's a graphic, showing how the numbers picked up in the mid-twentieth century, then took off after about 1970. The blip in 1880 is Belva Ann Lockwood. 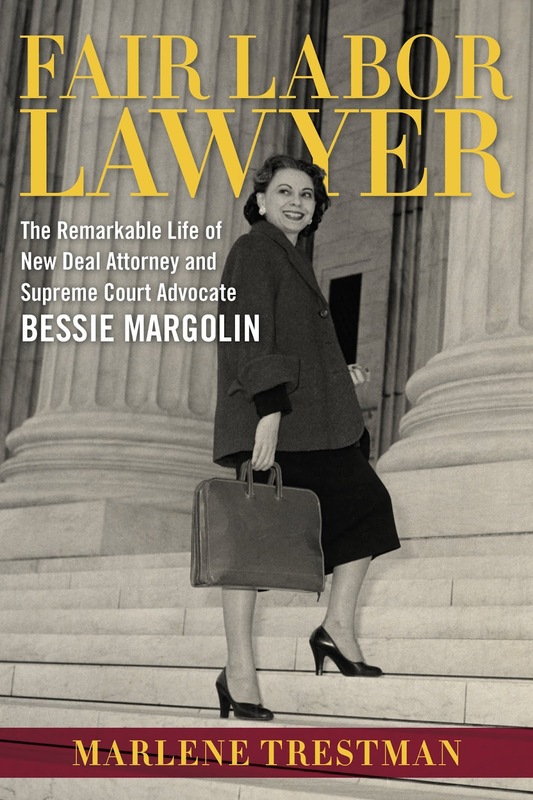 This project of looking at all women who argued before the Supreme Court was a side project for Trestman's biography of Bessie Margolin, the Assistant Solicitor of Labor, who argued 24 times between 1945 and 1965. 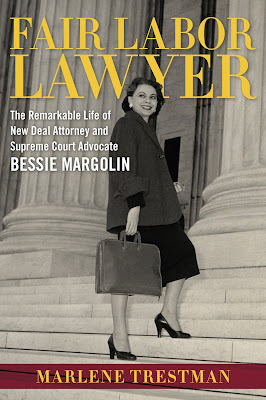 You can check out Fair Labor Lawyer: The Remarkable Life of New Deal Attorney and Supreme Court Advocate Bessie Margolin (2016) in print or online. Publisher's page here.